Come to Me when you are weak and weary. Rest snugly in my everlasting arms. I do not despise your weakness, My child. Actually, it draws Me closer to you, because weakness stirs up My compassion--My yearning to help. Accept yourself in your weariness, knowing that I understand how difficult your journey has been. This is from a torn-out page that a friend handed to me during a season of exhaustion last year...a season of exhaustion and frustration. I happened upon this page tonight as I was organizing my room, and am so thankful I stumbled upon it. 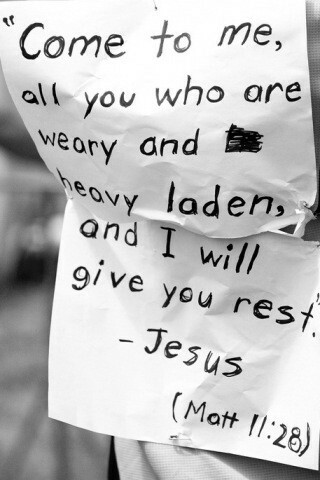 I hate feeling weak, tired, and weary. But I know where I can find safety, refuge, and rest. Flats: GAP, jeggings: Old Navy, tunic: Anthropologie, sweater: The Limited, bag: Coach, necklace and bracelet: H&M, shades: Ray-Ban. 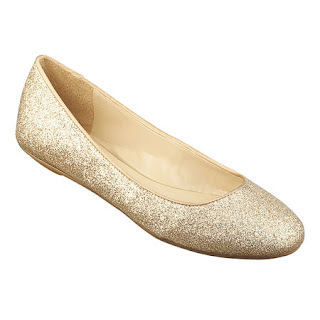 A few weeks ago, I met up with a friend at a play and she was wearing these adorable gold flats from Nine West. I'm pretty sure I looked at her shoes more than her face when we grabbed coffees after. But when I found these babies online, they were $70. Womp, womp. BUT...then...I found these at Payless for $16. That's how it's done, people. 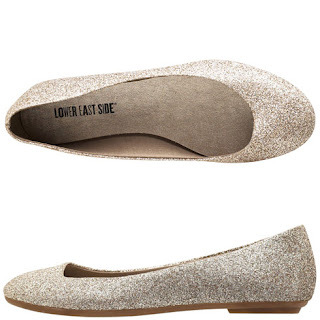 I mean, the glitter's probably going to fall off after about three wears, but still. I got what I wanted. A year ago today, I met Tina Fey at a book signing in Los Angeles. Oh yeah, Steve Martin was there, too. No big deal. If you're unaware, I just want to confirm that these two humans are extremely hilarious. We very much enjoyed listening to them shoot the breeze for an evening. 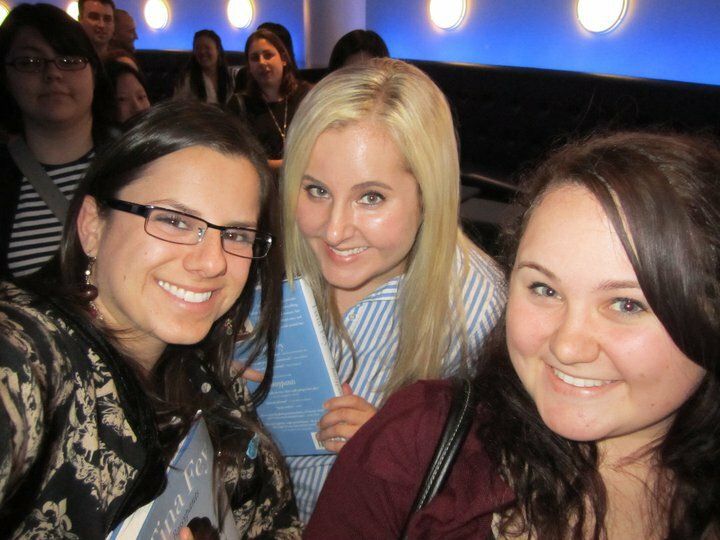 This is us in line. This is Kylie. 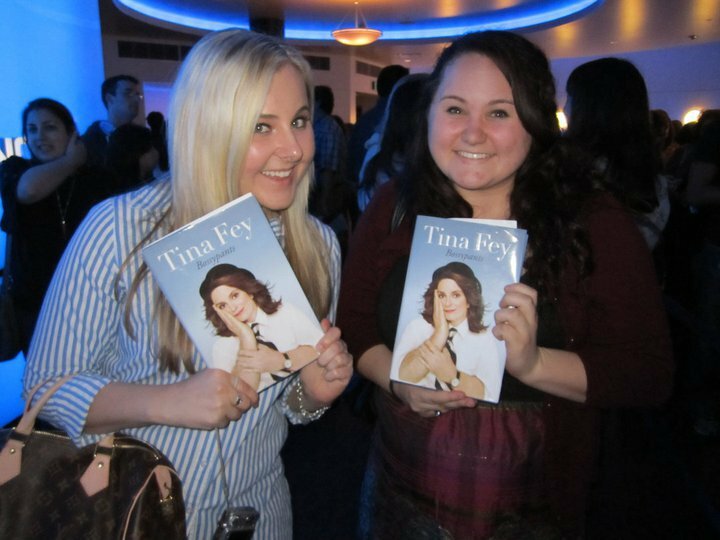 Kylie is the biggest Tina Fey fan on the planet. 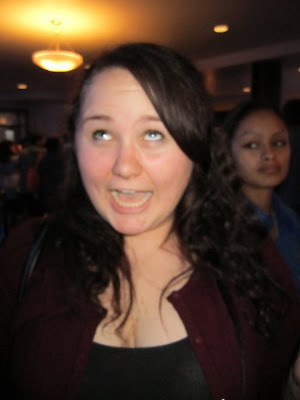 This is what she looks like when you mention the name Tina Fey. Flats: GAP, denim: J Brand, shirt and blazer: Forever 21, bag and scarf: Coach, bracelets: Tiffany & Co./Old Navy/Forever 21, ring: Stella & Dot. So...I'm kinda wearing what I wore yesterday. Is that cheating? I hope not. This is a remix, after all, and technically, this is a different outfit! It's amazing what a little tweaking can do to change up a look. I replaced the military jacket with a blazer (I love this blazer!) and silk scarf, and the coral flats for black ones. A black shirt and denim is a pretty basic platform to jump-start tons of different looks...and a pretty scarf and blazer can dress up almost any look, too! Flats: Nine West, denim: J Brand, shirt and jacket: Forever 21, shades: Ray-Ban, bag: LV, necklace and neon bracelet: J. Crew, silver bracelet: Tiffany & Co.
Only three more days of remixing! Flats: GAP, skirt: J. Crew, top: The Limited, shades: Ray-Ban, tote: Marc Jacobs, necklace: Forever 21, bracelet: Tiffany & Co., belt: Target. I like the combination of stripes and floral print, but unfortunately I think the top is a little too billowy paired with a swingy skirt like this one. A fitted striped top would have done the trick. But, alas, it's a remix, and I'm working with what I'm working with! Scarf and heels: Coach, bag: Jason Wu for Target, skirt: J. Crew (now on sale! ), sweater and shades: The Limited, bracelets: J. Crew/Tiffany & Co.
For MONTHS, I have felt sick on-and-off with headaches and stomach issues and cramping, sometimes bad enough to force me to miss a meeting or class. Things were not normal, to say the least. I was pretty sure the problem was diet-related, but since my palette is as refined as a picky five-year-old's, it was tough trying to figure out what type of bland food would have such an adverse effect on my body. I just don't really eat hostile food...what was the deal?! I did a little detox on my poor body--minimal amounts of gluten/dairy/sugar, nothing greasy or fatty, no coffee or caffeine (yeah, I almost died), and no artificial sweeteners. Then, I figured it out. The last three times I felt the most sick were times I drank iced tea...with Splenda. It's Splenda, guys. Splenda makes me terribly sick. I haven't had Splenda or any artificial sweeteners in over a month and I have had virtually no stomach issues and no headaches! The weird thing is that I didn't even consume that much Splenda before. It only took 3 packets in a whole day to feel horrible. Since this discovery, I have been more conscious about what I eat and drink across the board. Splenda was the big culprit, but I've realized my stomach is sensitive to certain foods. It's not about losing weight or dieting or anything like that...it's just to feel normal and healthy, and it's what I need to do now. I'm not a crazy strict health nut or anything, but I have cut a lot of unhealthy stuff out of my diet, drink tons of water, and even drink less Starbucks and caffeine. And my Diet Coke drinking days are over...forever. No more artificial sweeteners! So there you go...my near-death experience from sucralose. Switching gears...sorry for the dearth of blogging and complete dropping-the-ball on the remix (and with only six outfits left! Shame!) These things will be remedied immediately!